Alan King may only have won his first Greatwood Hurdle last year with Elgin, but the Barbury Castle trainer’s runners have performed with great credit in the race for some time, making his Deyrann De Carjac an intriguing presence at the bottom of the weights. On top of the 2017 winner, a further five of King’s last 14 runners have placed in the November Meeting’s Sunday feature, while only three among them failed to dent the top six finishers. William H Bonney also finished fifth behind his stablemate after looking the winner for a good portion of the race 12 months ago and it’s interesting that King only has one dart this year. The last time he did that was with Winter Escape, who was sent off favourite for the 2016 edition. Greatwood Hurdle betting tips: What’s to like about Deyrann De Carjac at odds of 16/1? 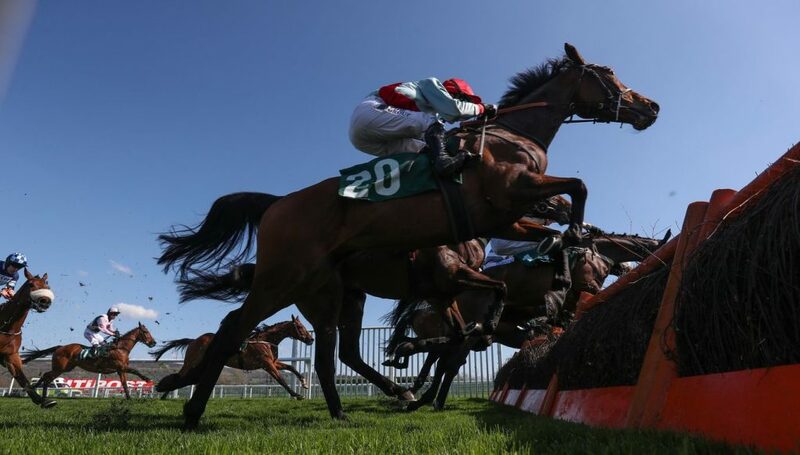 His trainer seems to have a good handle on the kind of horse needed to put up a strong showing, we’ve covered that, and it’s just as well, given the lack of strong back-form the first of our Greatwood Hurdle betting tips has in the book.. The son of Balko has raced just six times under rules (four over timber), with the highlight being a 20-length win in a Warwick novice hurdle, his lone success to date. It’s not completely unusual for King to fire such lightly-tried types at the race, with the aforementioned Winter Escape running in the Greatwood in just his fourth ever outing. Admittedly, that one had won his first three starts before finishing down the field at Cheltenham to disappoint those who had backed him to the head of the betting, but that just adds more piquancy to the Wiltshire-based handler’s decision to enter Deyrann De Carjac here. While the five-year-old doesn’t have a great deal in common with his trainer’s 2017 winner Elgin from a profile perspective, the pair both made their seasonal appearance in Chepstow hurdles the month before the Greatwood and both were beaten. Speaking to Mark Howard’s excellent One Jump Ahead publication earlier this year, King made no secret of the fact that he regards the five-year-old as one of his top novice hurdler prospects for the season, also highlighting his belief that the horse had matured greatly over the summer. True, the market has had an excellent handle on the status quo in this contest down the years and 2017 saw the first four past the post all sent off at odds 10/1 or shorter in the betting. As a result, you could be forgiven for demanding Greatwood Hurdle betting tips nearer the head of affairs. At the time of writing, Verdana Blue 9/2, Western Ryder 7/1, Nube Negra 8/1 and Silver Streak 8/1 are those inside that price range and, of the quartet, it’s the second-named that stands out. Unexposed having ran just seven times over hurdles, Warren Greatrex’s gelding posted fine showings in defeat against top novices Summerville Boy and Black Op in Grade 1s at the spring festivals. Previously, he’d actually beaten subsequent Grade 1 winning hurdler Lalor and Summerville Boy at Cheltenham in December, giving them both 6lb. Off a good break after a tough debut campaign over timber, he has an ideal mix of upside and proven quality.